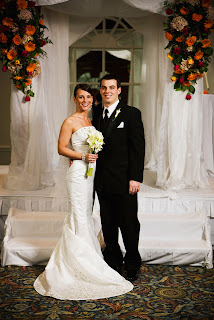 The ceremony was held in one of the ballrooms and the reception was in the Grand Hall. 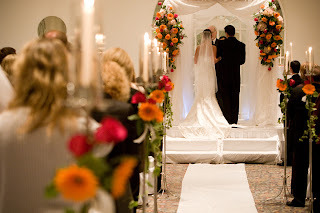 The ballroom was decorated with our canopy, draped fabric, and flowers. 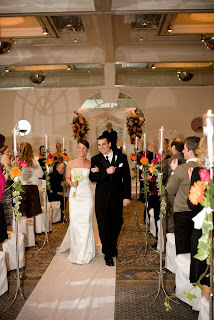 The aisles candles had clusters of the same bright wedding flowers . All of the bouquets had a linear design. 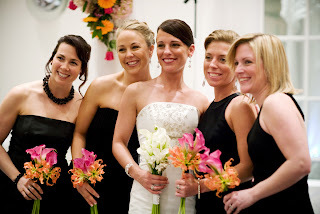 The same bright colors from the ceremony were used for the bridesmaids bouquets. 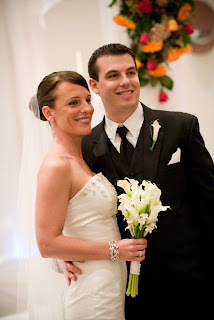 Congratulations to the newlyweds!! It was a pleasure working with you! !